Well, it’s not that straight forward. As you can imagine for someone born over 200 years ago, little is known of Glass until the bear attack. 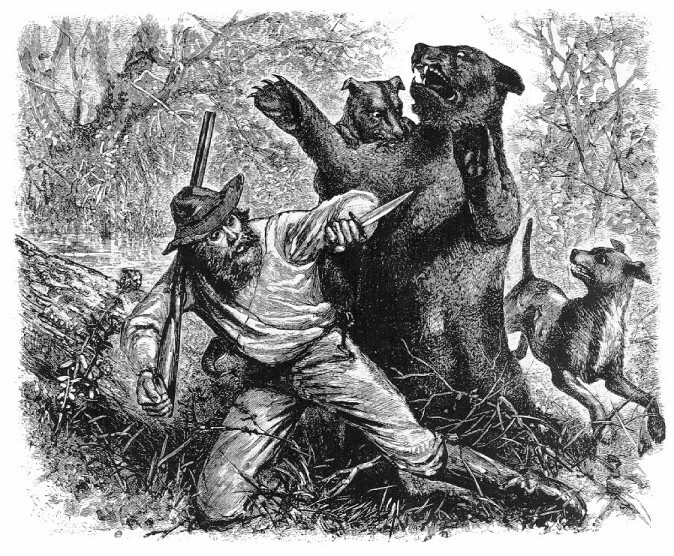 It was the bear attack and survival story in 1823 which turned Glass into a frontiersman legend. By 1825 he had already become a fictionalised character in magazines and newspapers. Where the movie takes some liberties with this ambiguity it also changes some of the established facts. Let’s break it down. Was Glass really a trapper? Yes, the first documented evidence of Hugh Glass appears in 1823, signing an employment contract with the St Louis fur company run by William Henry Ashley and Andrew Henry (played by Domhnall Gleeson in the movie). This was the year of his fated expedition. Were Glass’s party attacked by Indians? Yes, by all accounts Glass’s party were attacked on the shores of the Missouri river by the Arikara tribe. Glass and his fur-trapping colleagues did indeed swim for their keelboats to escape with their lives. This is depicted in the opening scenes of the movie. Did Glass have a Pawnee wife and son? Nobody knows for sure, practically nothing is known of Glass before 1823 although there have been stories that he originally came from Scotland, was captured by French-American pirate Jean Lafitte, escaped and married a Pawnee woman. There is no proof of any of this though. One fact is certain however, if Glass had a son there is no record of him being on the expedition in 1823. Was Glass really attacked by a Grizzly Bear? Yes, it is understood that Glass was hunting alone ahead of the group and disturbed a grizzly bear with her cubs. The bear attacked him ripping his scalp, puncturing his throat, breaking his leg, and leaving numerous gashes some to the bone! His fellow hunters heard his cries and rushed to help, using more than one bullet to drop the bear. Unlike the movie however the attack took place in summer not winter. 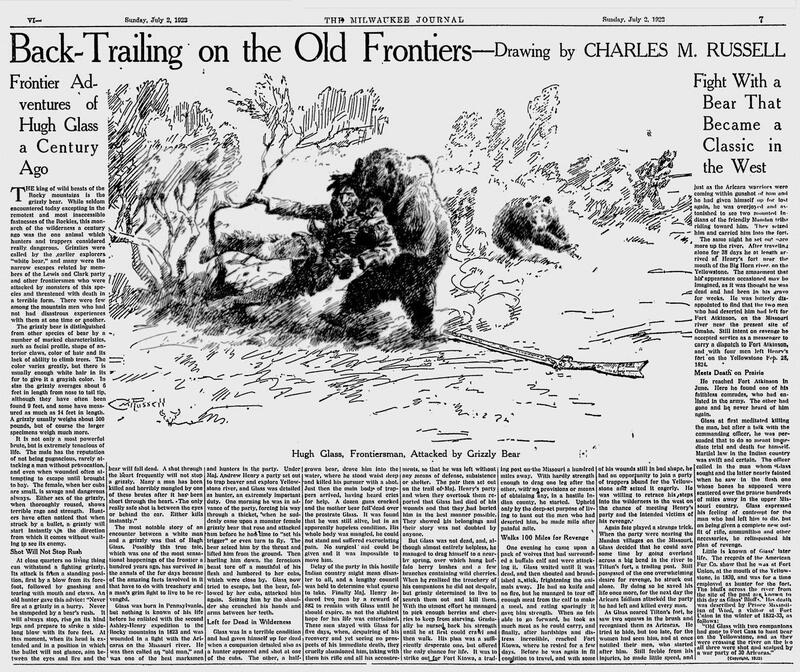 Was Hugh Glass really left for dead? Yes. Believing that Glass had received mortal wounds during his encounter with the bear, the expedition’s leaders paid two men to stay behind until Glass died. This was done in order to give him a Christian burial. These men were John Fitzgerald and the younger Jim Bridger, portrayed in the movie by Tom Hardy and Will Poulter. They stayed with Glass for several days although the exact number is uncertain. It is uncertain why they left Glass, some accounts claim they feared another attack from the Arikara. They dug a shallow grave, placed Glass in it, covered him in the bears skin then took his weapons. Again, this is where the movie took some liberties. When Glass regained consciousness he was alone. As Glass had a broken leg he could only crawl, we know it took him 6 weeks to make it back to Fort Kiowa but the distance he crawled increased as the story spread with reports of anything from 80 to 200 miles! Accounts say that Glass crawled to the Cheyenne river where he fashioned a crude raft and floated downstream to Fort Kiowa. At some point he scavenged a Bison carcass wolves had downed. Glass also encountered some friendly Sioux who stitched the bearskin around him to cover his wounds and provided him with food and weapons. Once Glass recovered from his wounds he did set out to find Fitzgerald and Bridger. Glass first caught up with Bridger but apparently forgave him due to his youth. Glass then re-enlisted with Ashley’s company. Glass eventually tracked down Fitzgerald but by that time he’d re-enlisted in the army. Glass knew that he would be executed for murdering a solider so after Fitzgerald returned his stolen rifle Glass left. 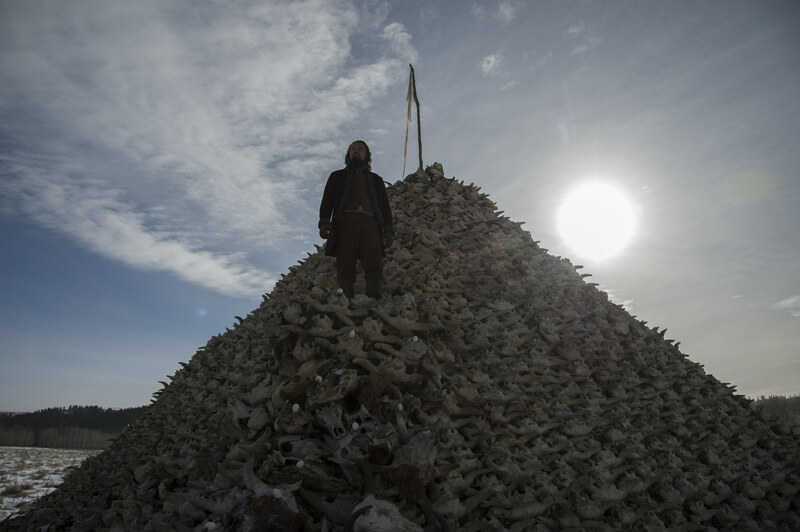 The bison skulls represent the pastiche that qualifies as history in The Revenant. It’s clear that the movie dramatised events and for the sake of the narrative altered real events. Hugh Glass’s son was clearly invented then murdered to give an emotional element to Glass’s pursuit of Fitzgerald. For this reason, real events had to be altered so Glass could kill Fitzgerald and avenge his son. Some other invented or out of place elements include The bison skull pyramids which are from the 1870’s not the 1820’s and the United States Army’s attack on the peaceful Native American village. That being said, this is a movie not a documentary. The story is simply based on real events. The decision to include Glass’s son and kill Fitzgerald in the movie however means we miss one of the most compelling aspects of the true story of Hugh Glass. After being left for dead, Glass seeks out the two people who effectively handed him a death sentence and forgives them! 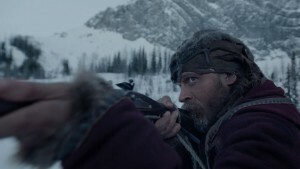 This entry was posted in American History, Movies and tagged Frontiersmen, Fur Trade, Hugh Glass, John Fitzgerald, Native Americans, The Revenant, Trappers by SliceOfHistory. Bookmark the permalink.